Open 8/20, 1-3p. 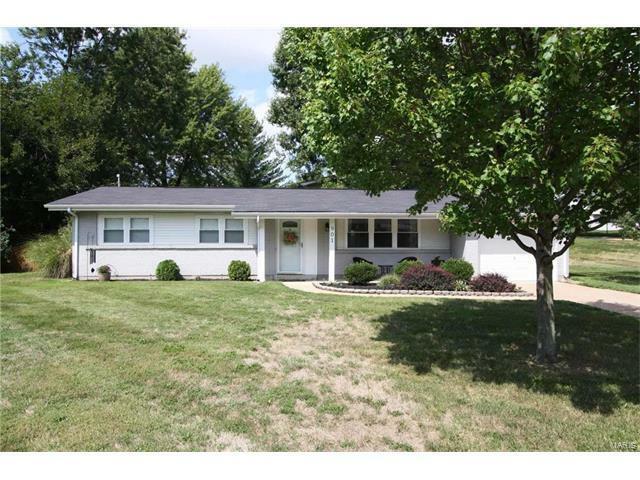 Beautiful and stylish describes this ranch home in move in condition. Newer wood-like flooring, updated bathrooms with modern vanities and nice ceramic tile flooring. Kitchen is bright and cheery with a large dining area and comes complete with tile floor, dishwasher, & built-in microwave. A door from kitchen leads to deck makes for easy entertainment. Living room provides great space and has lots of natural light. Designer paint colors and attractive, neutral décor throughout. Doors and door frames have been replaced throughout house. This truly is a complete package including a CB Hm Prot Plan. Great location in Chadwick subdivision, close to neighborhood pool and easy commute to highways, shopping and restaurants. Highway 141 south of Manchester Rd to west on Bromfield to left on street.